Where you can make dreams come true! 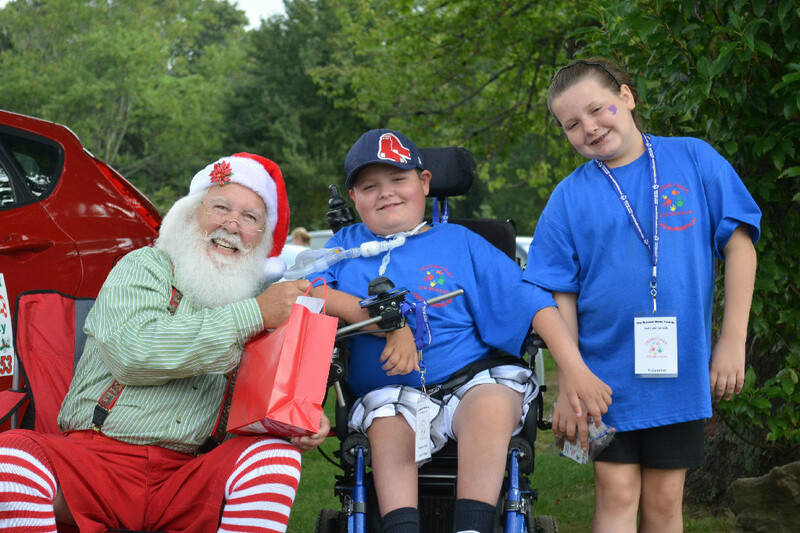 Brandon is a 15-year-old boy from Riverside RI; he has been clinically diagnosed with spinal muscular atrophy with respiratory distress (S.M.A.R.D), a life-threatening motor neuron disorder. The summer of 2013, Brandon under went major back surgery to surgically implant a titanium rod into his back. Brandon was hospitalized and bed ridden for the most of the 2013 summer. Brandon walked until the age of 2 when he lost mobility from the flu. From 2005 through 2007 Brandon’s family took him to chiropractors and neurologists in Boston, Providence and Detroit to figure out exactly why he lost his mobility and what was causing his problem. The winters of 2005 and 2006, Brandon had several stays at Hasbro Children’s Hospital in Providence, RI for pneumonia. The winter of 07’ was the most challenging. Brandon spent 10 weeks in the ICU unit of Hasbro Children’s Hospital. He under went a life saving surgery and a second surgery to insert a permanent tracheotomy to help clear his weak lungs. Since being home from the hospital Brandon continues to have numerous doctor’s appointments and needs continuous care. He is confined to a wheelchair and a cumbersome medical device that he needs to breathe. Yet regardless of the remarkable setbacks he’s encountered in his short life, he is vivacious and has a personality that you’d have to be lifeless not to fall in love with. Brandon is now in the 9th grade. His health is improving but he still relies on a wheelchair to get around. Brandon’s family is trying to make his life as normal as possible for a 14-year-old boy. Please help support Brandon and our great event; you will help one of the greatest loves of my life and give my buddy a chance to be a typical kid. With the help and support of generous people like you I know we can pull together and help an extraordinary kid. Thank you for visiting our website.